Travel is what Jamaic of it! Day 1- my journey began with an evening flight on Westjet to Toronto. I lucked out and got an emergency exit seat – so much leg room! Just as much as the economy plus seats! I decided to head to Toronto the night prior to my flight to Jamaica just to be on the safe side. I did not want weather to interfere with my trip! My flight was departing Toronto at 1015am the next day. I could have flown out on an early morning flight to Toronto the same day but if there was any delays then I would not have made my connection. So I didn’t want to chance it! On arrival after I collected my bag, I made my way down to the ground transport level to catch my hotel shuttle. I had called my hotel once we landed to be sure it was going to come for me. I stayed at the Park Inn Radisson. There are a few hotels right at the airport, but I wanted something a bit less expensive so booked one a little out. It was about a 15min drive to my hotel in the evening. The check in counter was so friendly! 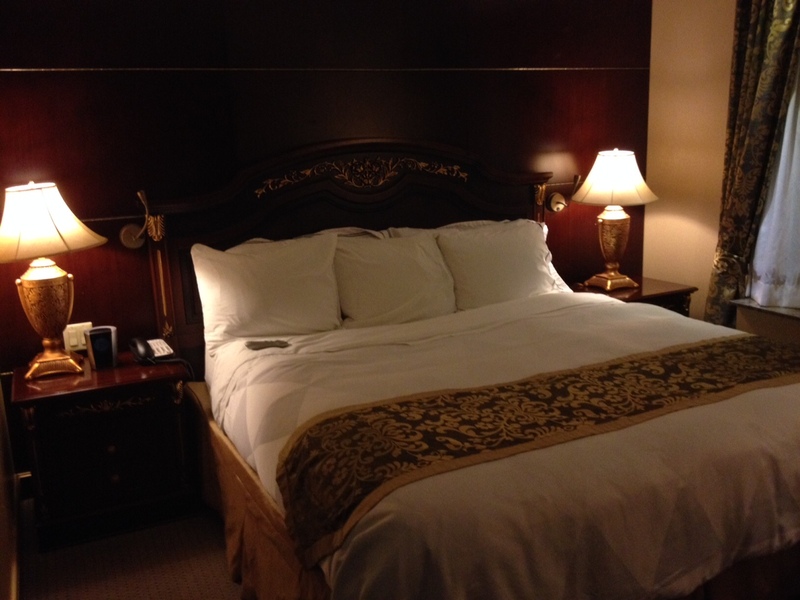 And the Park Inn pleasantly surprised me; Inside it actually had a classic old Fairmont Royal York feel! Very impressed! 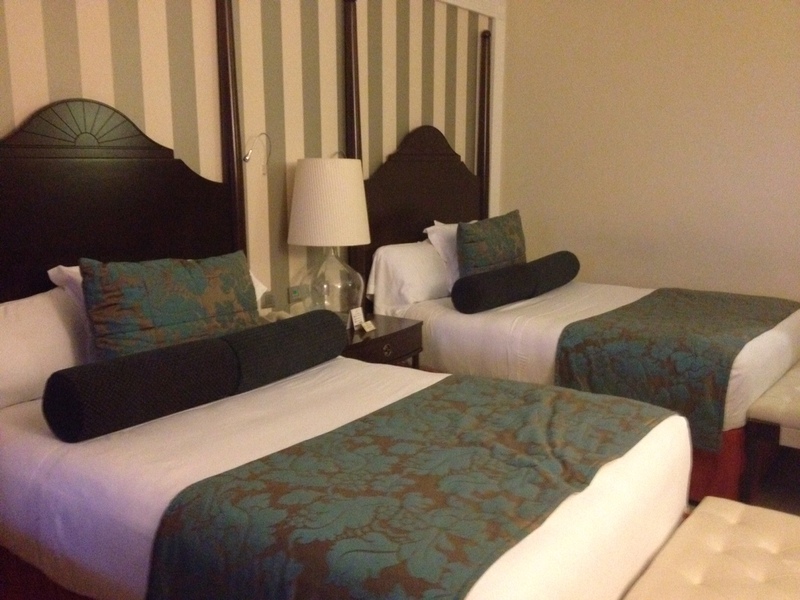 The rooms are all suited… And massive! I could have made this place home for a few days! Day 2- my flight to Jamaica was at 1015am. I knew with rush hour traffic the drive would be longer. I arranged for the shuttle to pick me up at 8am but I would recommend an earlier pick up time! I took almost an hour to get to the airport with traffic and construction. Flight to Jamaica went by quick. Westjet had a great choice of movies to watch. I recommend picking up some food in the airport for your flight meal. I was only in row 13 and when they got to me all the had was 1 ham and cheese sandwich left. Lots of people missed out of ordering a sandwich. Even a few people who pre-paid for the vouchers got nothing because they ran out. On arrival into Montego Bay Jamaica, the customs line was very long as two planes landed at the same time. They do move pretty quick though! Once through, we met with our transfer bus and off to our first resort: Iberostar Rose Hall Beach Resort in Montego Bay! On arrival we were taken on a tour of the three Iberostar resorts, the Beach, Suites and Grand. All three resorts were beautiful. The Beach is the lead in of the three and is a family resort. The rooms are a good size with a large bathroom. The balconies are also a good size and have a table and chairs. The room had all the basic amenities, plus more! All rooms have a mini fridge stocked with lots of water and a few beers and sodas. My one recommendation is, if you use a hair dryer, pack yours from home! They do have them in each bathroom but they are not very good. 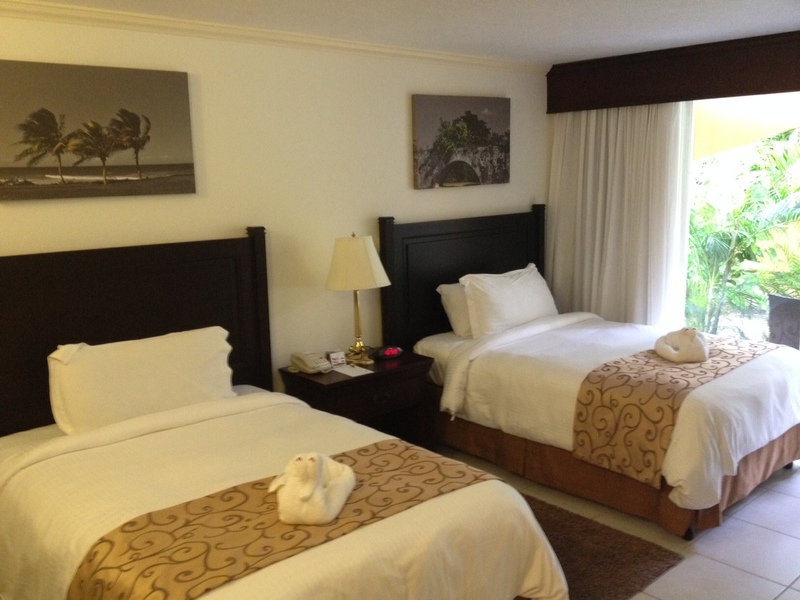 The Iberostar Suites is also a family resort but the rooms are much larger with a sitting area. When you stay at the Suites, you have full access to the beach resort. The third Iberostar is the Grand. This is an adults only resort. 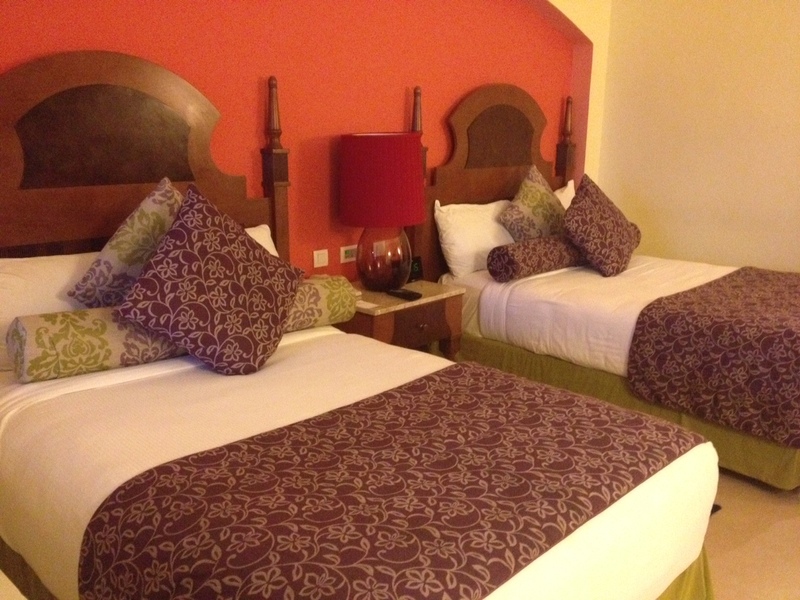 The rooms are also all suites and very large. At this resort you have full access to all three properties! 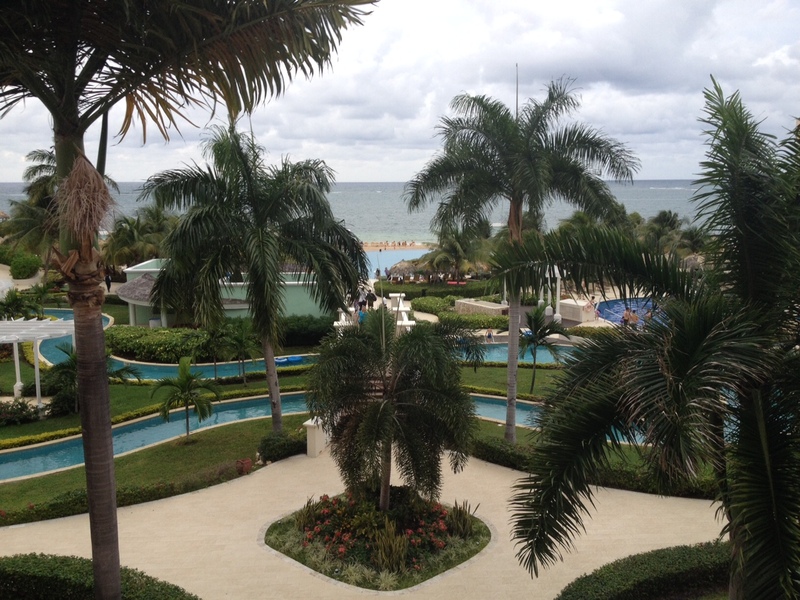 I would stay and recommend the Iberostar Resorts 100%. For dinner on our first night, we dined at the Gourmet Restaurant in the Suites resort. Dinner and atmosphere were excellent! This is one of the a la carte restaurants so reservations are required. These can be made at guest services in the lobby and are unlimited at the Suites and Grand. At the beach you ate limited to four a la cartes during your stay. Day 3- started our day with a breakfast of champions at the buffet! Best all inclusive breakfast buffet I have had! I ordered a custom omelette from one of the two omelette stations and topped with a delicious home made salsa. The Blue Mountain coffee was perfection! We were then off to tour the two Jewel resorts in Runaway Bay. We started out at the Jewel Runaway Bay. 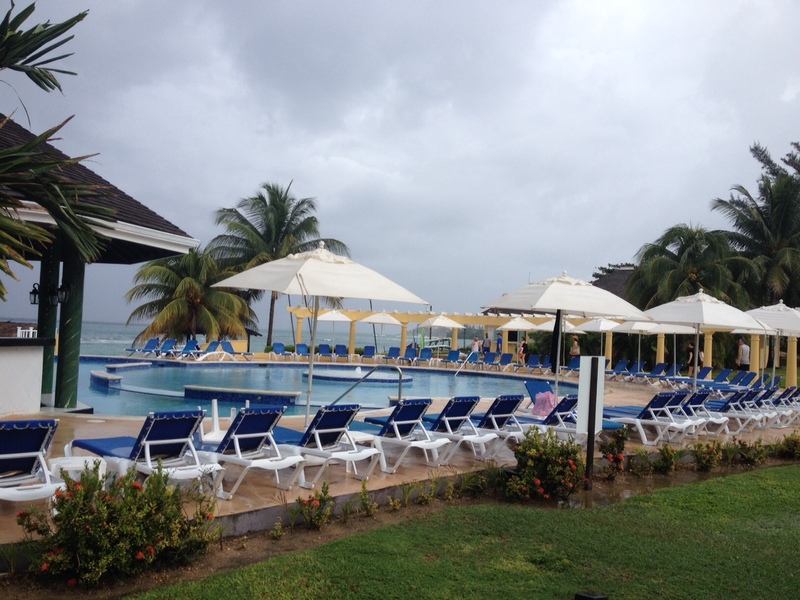 This resort was previously the Breezes Runaway Bay and just opened as the Jewel in 2012. It is a family oriented resort. I was super impressed with this resort! The lead in premier rooms were great! The layout is very good also. It is a smaller resort in comparison to some of the mega resorts. They are currently working on building a big water park at this resort scheduled to open at the end of January 2015. We then hopped over to the adults only, Jewel Paradise Cove. This is a large resort and even when at full capacity, has the feeling of privacy and not being crowded. There are three different pool areas at this resort. I personally loved the small pool that had the pool view rooms. That pool seemed like it was very private and quiet. If you are a beach person though, this resort is not for you. It has two small man made beaches only that are in small coves. If you enjoy just lounging at the pools then this is a winner! After our two tours of the Jewel Resorts we stopped and visited the Green Grotto Caves. The cost for admission is $20USD. These are old underground caves that are have a great story and history. Here you are guiding down through the caves to a pristine underground lake! The total tour is about an hour. Great tour to do in the Runaway Bay Area. On arrival back to our hotel we had some free time. First thing on my list was to get in the beautiful infinity pool! For dinner this night we dined at the Cajun Jambalaya restaurant at The Beach Resort. If you like Jambalaya and shrimp, this is a must! After diner we checked out the nightly entertainment on the beach. The entertainment was a Pirate Beach Party. They had different games set up and a DJ pumping the tunes! It was a lot of fun. 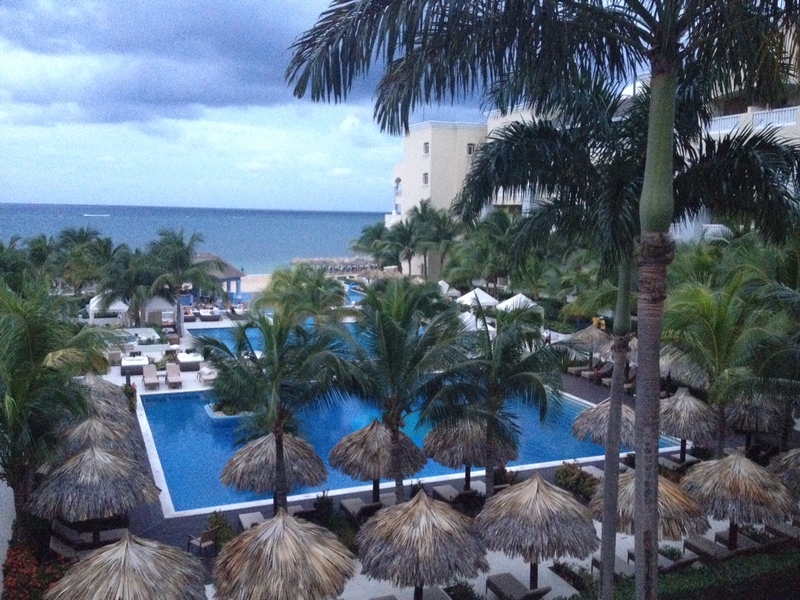 Jamaica so far is really great!